As one of the most powerful and devastating forces on earth, hurricanes (typhoons/cyclones) can cause destruction of epic scale; including loss of life and catastrophic damage to property on coastlines and several hundred miles inland. A hurricane brings three dangers: 1) a storm surge which can flood coastal areas, 2) winds (including tornadoes), possibly over 200mph, and 3) flooding. We only have to take a look back to hurricane Katrina, a Category 5 storm with sustained winds of 155mph, and hurricane Sandy, one of the largest Atlantic hurricanes on record to get an idea of the consequences; catastrophic damage including: loss of life, severe injuries; workplaces, government centers and homes destroyed. If you’re in a hurricane-prone area preparedness is very important. Get together with family members and know what you will do. There’s no excuse for not being ready. Preparation is the best protection against the dangers of a hurricane. History teaches that a lack of hurricane awareness and preparation are common threads among all major hurricane disasters. By knowing your vulnerability and what actions you should take, you can reduce the effects of a hurricane disaster. Do you want to have a better understanding of the hurricane risk you and your community face? Visit this map of the United States to see how many hurricanes have struck your county. The Atlantic hurricane season runs from June 1 to November 30 and the Eastern Pacific hurricane season begins May 15 and ends November 30. The main driver of this year’s outlook is the anticipated development of El Nino this summer. El Niño causes stronger wind shear, which reduces the number and intensity of tropical storms and hurricanes. El Niño can also strengthen the trade winds and increase the atmospheric stability across the tropical Atlantic, making it more difficult for cloud systems coming off of Africa to intensify into tropical storms. The outlook calls for a 50 percent chance of a below-normal season, a 40 percent chance of a near-normal season, and only a 10 percent chance of an above-normal season. For the six-month hurricane season, NOAA predicts a 70 percent likelihood of 8 to 13 named storms (winds of 39 mph or higher), of which 3 to 6 could become hurricanes (winds of 74 mph or higher), including 1 to 2 major hurricanes (Category 3, 4 or 5; winds of 111 mph or higher). NOAA’s Climate Prediction Center announced that a near-normal or above-normal hurricane season is likely for the Eastern Pacific this year. The outlook calls for a 50 percent chance of an above-normal season, a 40 percent chance of a near-normal season, and a 10 percent chance of a below normal season. Seasonal hurricane forecasters are calling for a 70 percent chance of 14 to 20 named storms, which includes 7 to 11 hurricanes, of which 3 to 6 are expected to become major hurricanes (Category 3, 4 or 5 on the Saffir-Simpson Hurricane Wind Scale). An average Eastern Pacific hurricane season produces 15 named storms, with eight becoming hurricanes and four becoming major hurricanes. The Eastern Pacific hurricane season runs from May 15 through Nov. 30, with peak activity from July through September. NOAA’s Central Pacific Hurricane Center announced that climate conditions point to a near-normal or above-normal season in the Central Pacific Basin this year. For 2014, the outlook calls for a 40 percent chance of a near-normal season, a 40 percent chance of an above-normal season, and a 20 percent chance of a below-normal season. We expect 4 to 7 tropical cyclones to affect the central Pacific this season. An average season has 4-5 tropical cyclones, which include tropical depressions, tropical storms and hurricanes. Know your home’s vulnerability to storm surge, flooding and wind. Have a written plan based on this knowledge. At the beginning of hurricane season (June 1st), check your supplies, replace batteries and use food stocks on a rotating basis. During hurricane season, monitor the tropics. If a storm threatens, heed the advice from local authorities. Property owners and renters should review their insurance coverage – including flood insurance – with an insurance agent to ensure their homes, businesses, and possessions are adequately protected from all types of disasters. National Hurricane Center and glossary of Hurricane Terms from the National Hurricane Center. 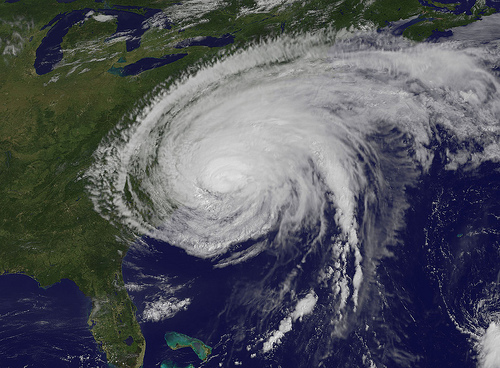 NOAA – Learn more about preparing for hurricanes, storm surge, and other related hazards. Build your knowledge now on what to do before, during and after a hurricane with resources found at www.ready.gov/hurricanes. How to prepare for a Hurricane – a hazard-specific guide which provides information on the basics of hurricanes, how to protect yourself and your property and what steps to take now.